For data sets, SEDIS provides multiple discovery and search capabilities, including geospatial searching, keyword searching, and controlled vocabulary searching. For publications, SEDIS offers full-text searching of most articles , as well as geospatial and controlled vocabulary searching. SEDIS is designed to facilitate access to data and information related to scientific ocean drilling, regardless of the origin or location of the data. SEDIS allows the public to search across source databases and to generate aggregated data sets using the Data Warehouse capabilities. The main data contributors to SEDIS currently are the IODP implementing organizations (IOs) from the United States (USIO), Japan (CDEX) and Europe with Canada (ESO). The Site Survey Data Bank (SSDB) is a repository for digital site survey data submitted in support of Integrated Ocean Drilling Program (IODP) proposals, expeditions and related activities. Many files are freely available, but proprietary holds requested by proponents are strictly maintained. The SSDB also contains older site survey data for some ODP proposals and legs. Analog site survey data (e.g., paper plots) submitted in support of IODP, ODP and DSDP proposals and expeditions/legs are stored on site at the SSDB, which is located at Scripps Institution of Oceanography (more information about analog documents can be foundhere). 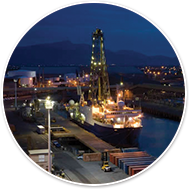 IODP endeavors to make sample materials collected during IODP, ODP , and DSDP expeditions available to researchers from any nation or research institution for free or at very reasonable cost using scientific merit as the primary criteria for consideration of sample materials requests. IODP imposes a moratorium, generally 1-year from completion of the expedition, during which only members of the Expedition Science Party are eligible to receive samples obtained during that expedition. After the moratorium, samples are available to the international science community. For core intervals of exceptional scientific interest, collaboration amongst scientific teams is desired to promote the most comprehensive understanding of the materials obtainable through carefully planned analytical research. Publication obligations are encumbant upon approved sample requests, and successful fulfillment of the publication obligations are an important criteria for subsequent sample requests. The Sample and Data Publication Policy can be found here . Sample materials may also be loaned for educational or outreach purposes. 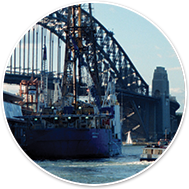 For more information on obtaining IODP/ODP/DSDP sample materials for non-scientific purposes, consult the Sample and Data Publication Policy. Sample requests for IODP Expeditions must be submitted through the Sample Material Curation System (SMCS) at http://smcs.iodp.org. The URL’s presented below are subject to change based upon final approval and implementation of a Core Archiving Policy. The IODP oversees repositories around the world. Samples are distributed according to ODP and IODP policies. One of the scientific goals of IODP is to research the deep biosphere and the subseafloor ocean. IODP has microbiological samples from the subseafloor available for interested researchers and will continue to collect and preserve geomicrobiology samples for future research. The list of available microbiological samples available from Bremen Core Repository is located here. The microbiological sampling material available for request from the Kochi Core Center is accessible here. The list of available samples from the Gulf Coast Repository is available here. Sample requests can be submitted through the Sample Material Curation System (SMCS) at http://smcs.iodp.org.